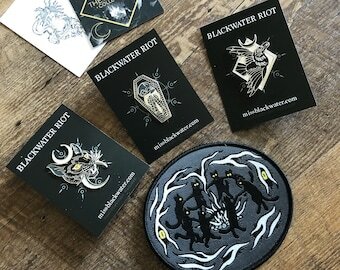 Blackwater Riot original pin from our spring/summer 2017 collection. 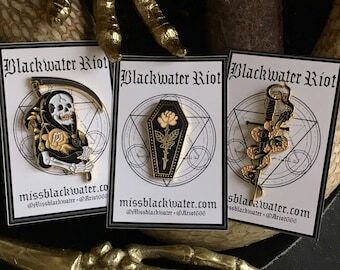 2" black and gold pins with 2 black rubber backings. 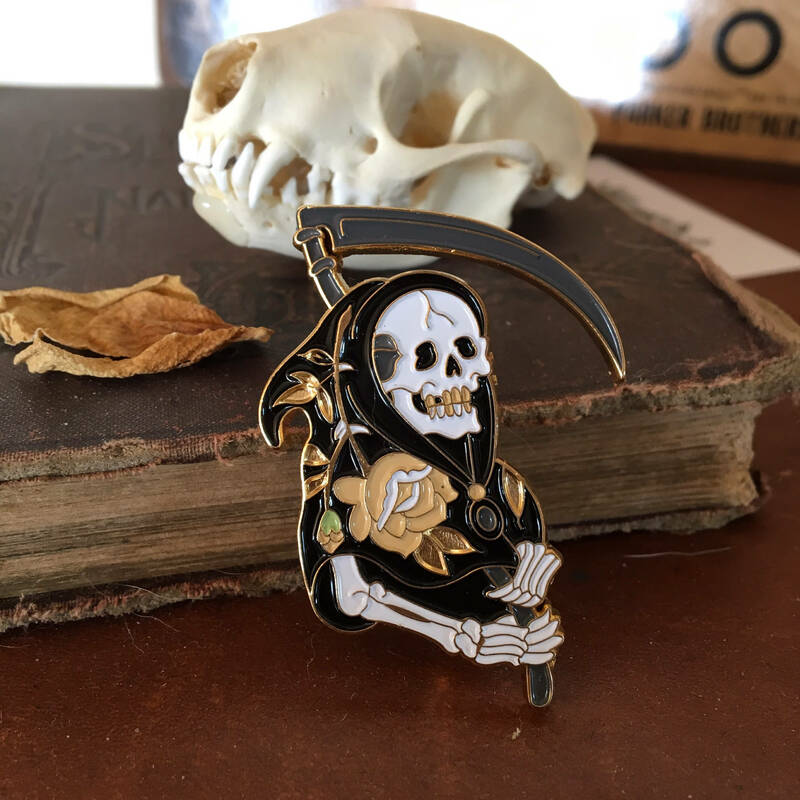 The picture doesn’t do this beautiful pin justice. I’m in love ! Stunning and elegant design. 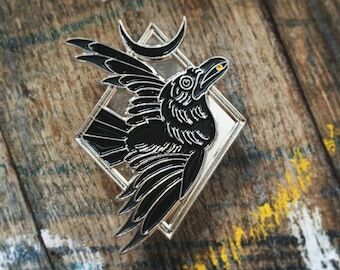 Glad to have this beautiful pin in my collection! 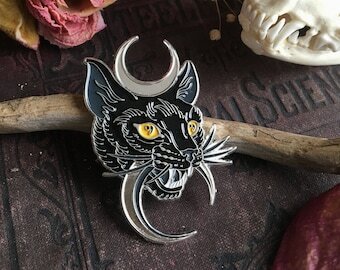 One of my favorite pins out of the 20-30 I have. Looks better in person and gets a lot of compliments. Shipping was awesome. The owner is awesome to work with when asking questions. These are even better in person, Beautiful!! !